Belgium’s Doel nuclear reactor went offline on Saturday, after it was restarted just three days ago, the plant's spokesperson said. Meanwhile, Germany has stepped up criticism on operational safety of its neighbor’s aging nuclear facilities. 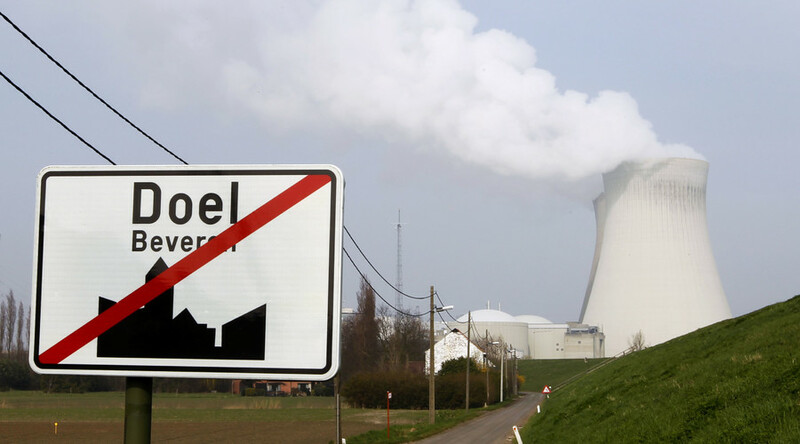 Doel 1 nuclear reactor, located in northern Belgium, was taken offline automatically, RTL broadcaster quoted the communications manager Els De Clercq as saying. At this point there is no safety risk, AFP reported, citing power utility company Electrabel, which operates the plant. Electrabel added that the reactor went offline due to “normal safety mechanism,” so it can restart safely. The Doel 1 reactor was rebooted Wednesday, after getting shut down in February, as the country tried to cut its reliance on nuclear power. Belgium decided to extend the lives of the aging Doel 1 and Doel 2 reactors until 2025, both of which are 40 years old. Widespread power blackouts was one of the main reason behind the extension. Meanwhile, Germany, which is also eliminating the use of nuclear power, has been raising red flags over possible environmental consequences, arguing that it is too dangerous to keep the Doel reactors going. The German government said it is preparing “critical questions” to the Belgian authorities on operational safety at the nation’s two active nuclear power plants. German Environment Minister Barbara Hendricks has demanded Brussels scrap its nuclear energy program altogether. The situation has been exacerbated by Belgium’s recent nuclear accidents, including the simultaneous cloud of the country’s three out of seven reactors due to the micro-cracks in the reactor vessels. Another mishap rocked Belgium on November 1, when an explosion occurred overnight at a nuclear power plant in Doel, causing a fire.